All characters and storylines that have appeared in the syndicated series Xena: Warrior Princess are a copyright and trademark of Universal and Renaissance Pictures. No infringement was intended during the writing of this script. All original characters and storylines are a copyright of the respective authors and of the Shipper Seasons. No script may be reproduced on a website elsewhere without the author's consent. 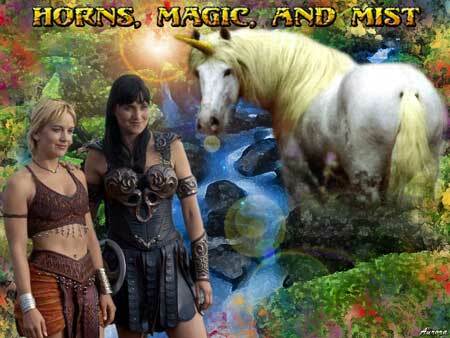 While traveling through Britannia, Xena, Gabrielle and Darion accidentally stumble upon a strange, mystical island and when they find out that there is trouble there, they are asked to come to the aid of the people that inhabit the enchanted place for someone unknown is threatening the island's very existence.